This contributing mid-nineteenth century building was originally a hotel or rooming house in the old Mill District. 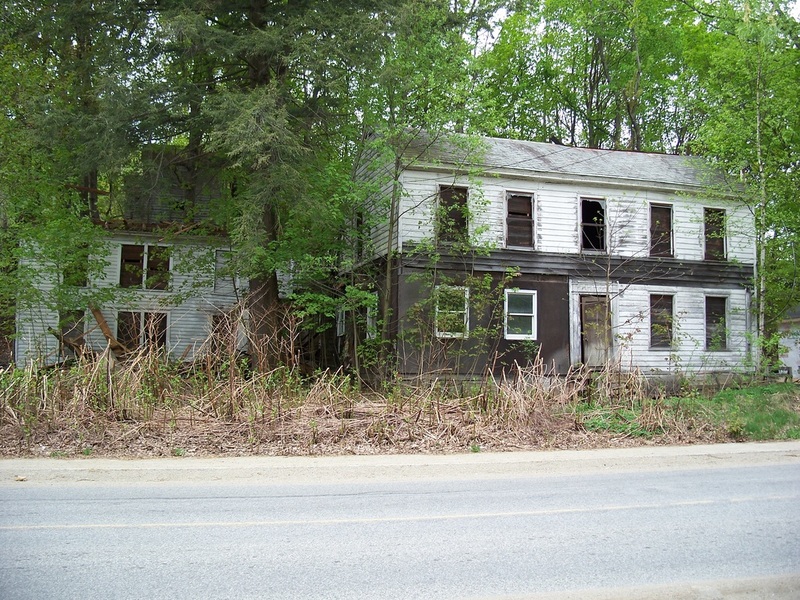 It is currently in deteriorated condition; however, it continues to reflect its historic associations. It is an end gable structure with multiple additions. The finish was of painted clapboard and exhibited Greek Revival detailing. 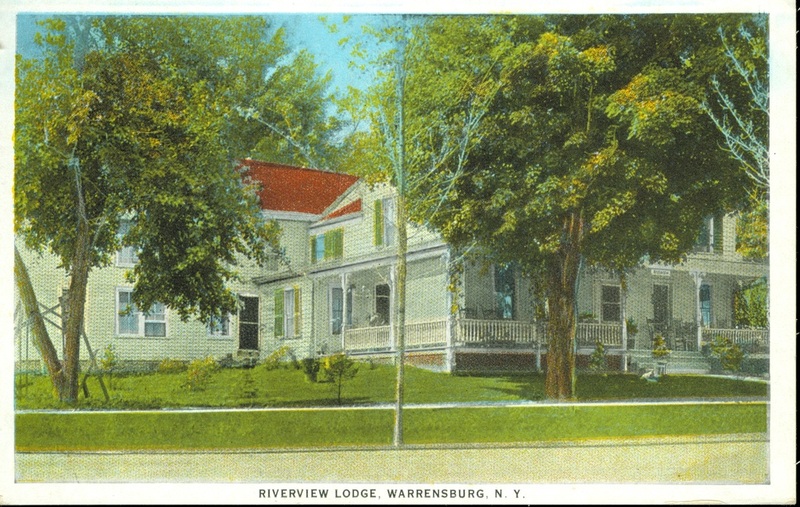 The Riverview Lodge, a tourist lodging, was located on the south side of the Schroon River just above the Osborne Bridge, at 40 River Street. Frank Cunningham was the proprietor from 1909-1923. In 1913 he built a two-story addition and kitchen. In 1924 Harold J. Turpin, who worked at the General Electric Company in Schenectady, purchased the property, and his wife, Daisy, operated it until around 1941. At various times, Daisy's parents, George and Effie (Bolton) Waters, were involved with running the business. The building, long vacant and in disrepair, was taken down after 2006 by current owners Glenda and Kent Duell. 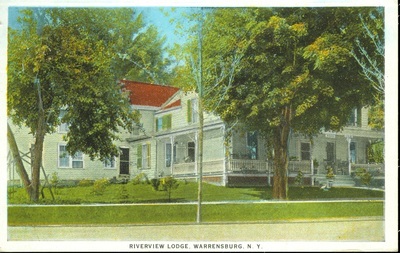 The Riverview Lodge was accessible by bus from Lake George and Thurman Station and was run by proprietor H.J. Turpin. It was known as a beautiful resort in the Adirondacks, on the Schroon River and near Echo Lake, probably around the late 19th and early 20th century. It offered its guests home cooking, with milk, eggs, poultry and vegetables from its own garden. No consumptives were entertained. (Consumptives were those afflicted with tuberculosis, a dangerous and contagious disease at that time). Later years, Frank Cunningham owned it, running it as a boarding house. He added a two story addition and a new kitchen.